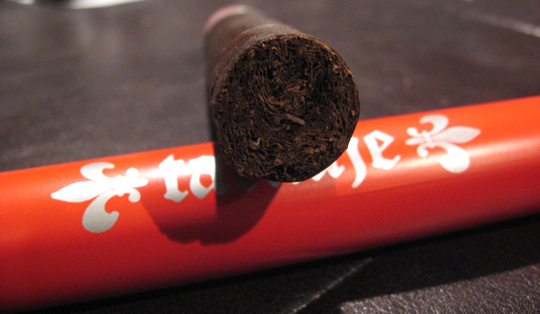 Tatuaje Cigars is quickly making a name for itself among the best of the best cigars. 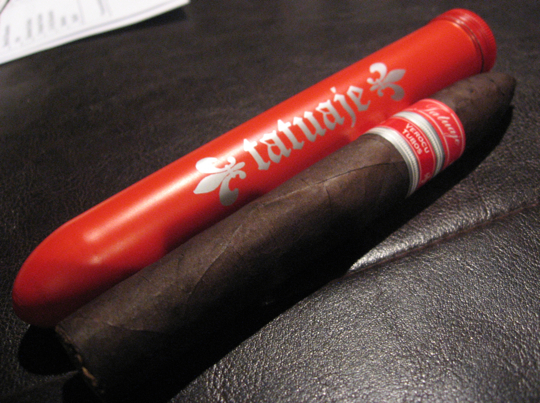 Pete Johnson, creator and blender of Tatuaje Cigars is making a big impact on the market with his boutique brand. Not only has he achieved great success with Tatuaje but he also blends various other lines that have been just as successful. The Verocu Tubos are a limited release but still seem to be easily available at the time that I write this. The Verocu line comes in a Red Tubo and various other sizes that are not limited release. The line was created as an extension to his Havana VI line with some added ligero for a little extra punch. The nice tube this cigar comes in is also cedar lined for a little added flavor. I’ve had this cigar in my humidor for quite a while. I smoked a couple a while back but decided not to review it since a lot of chatter suggested to have these age. I think this particular stick is coming up on almost a year of age since I purchased it and I have some notes from one of first few I smoked to compare to. Don’t forget that we are currently running our contest with CheapHumidors.com for a 10-Cigar Caddy. Read the rules and add a comment below to get an extra entry! I think the notes above pretty much speak for themselves. This cigar started off fairly slowly but then each flavor made a nice slow introduction. The flavors were always nicely balanced and I never really felt overpowered by this cigar at any point. 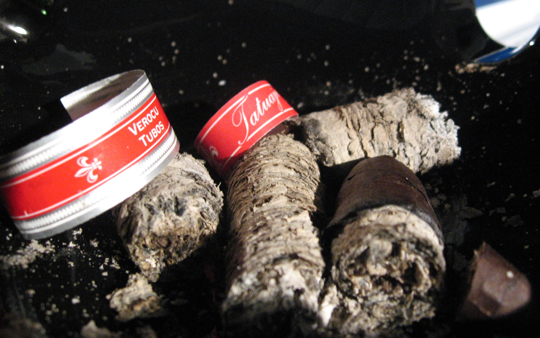 The Tatuaje Verocu red Tubos is definitely recommended in my books. The price tallies in a bit higher than some other cigars but the quality, flavors, construction, burn and overall enjoyment are worth having a few on hand. The age did this cigar fairly well and the bitterness that used to start earlier in the cigar was only evident near the very end. The flavors were also a lot more prominent that what I can remember. 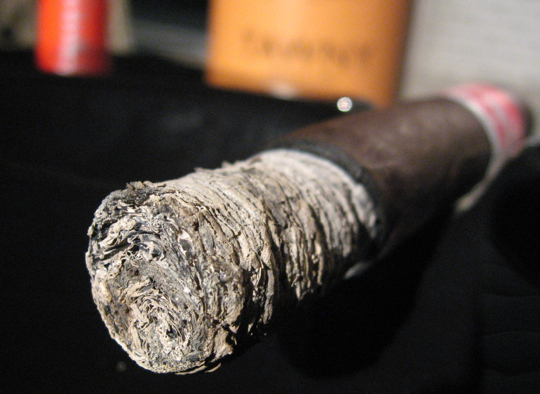 The body did not change much however as this cigar ended at just around full. Try to grab these fairly soon before they disappear! The bottle I had today was bottled in 2004 by Quinta de Infantado. It has a fairly light red color to it and produces some nice oaky flavors complemented by dark berries, such as black berries and black cherries. It’s not too strong and comes in at an excellent value for the price. It’s definitely a good port to start with if you’re just considering trying it out for the first time or to have on hand to serve without feeling a wallet pinch. This pairing was excellent. 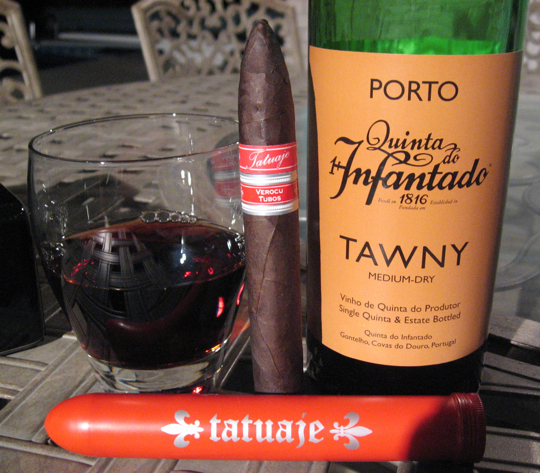 I find that a good Tawny Port can play well with both mild and full cigars and this cigar seemed to span that entire range. A drink too strong may drown out the initial flavors but pair well near the end. 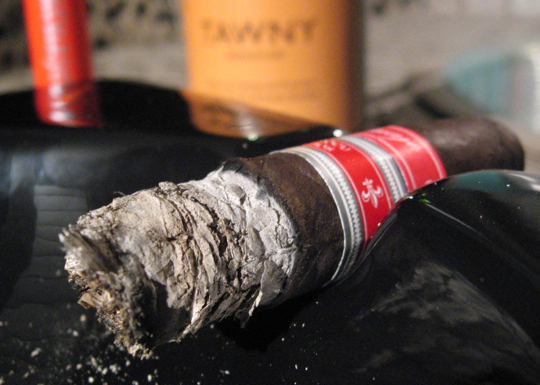 Vice-versa, a light drink will go well at the start but lack the palate cleansing qualities as the cigar builds body. Some other pairings here could be coffee, dark soda, a dark porter or stout or even a nice red full-bodied red wine. These are definitely not a knock-you-down type of cigar. They finish smooth and medium with no nicotine kick. I thought the body was perfect for me. Nice review. I like the red tubo better than the black probably because they don’t seem to have as much body to them. 1. At least 1 out of every 4 Verocu Red Tubos I’ve had developed a tar oozing at some point during the smoke. Sometimes I re-cut and it’s gone. I’ve heard others have had this problem. Tar ooze seems to be one of those things that there’s lots of theories, but nobody seems to definitively show why or how this happens. 2. I smoked an old Verocu West Coast this weekend that has been sitting for at least 2 or 3 years. The Verocu Red Tubo is very good and I really like it. But it just doesn’t match the old West Coast. Maybe with age it will get better and I’ll change my mind- but I doubt it. 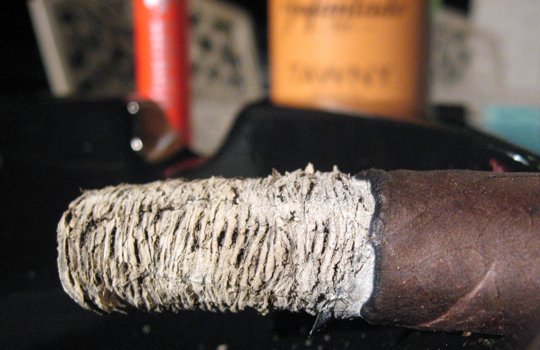 Great review, I’ ve had the pleasure of smoking this particular cigar, and must say it was quite good. I totally agree with Boomer, one out of a ever few Verocu tubos have had tar on them. A few of the Verocu No.9’s as well, but those really didnt have any age on them at all. Thanks for the review. I agree with Mike…I enjoy the Verocu Red Tubos much more than the Black Tubos. I’ve had a Tatuaje before but not this one in particular. All the mixed reviews makes me want to try it just to make my own opinion. I have only smoked one of these. I really enjoyed it. Will I buy thenm again… meh maybe just to keep one or two… But I prefer the regular Havana VI line much more economical and awesome! I loved this cigar. I also think they have huge aging potential, but if I had to pick, I would go with the black. 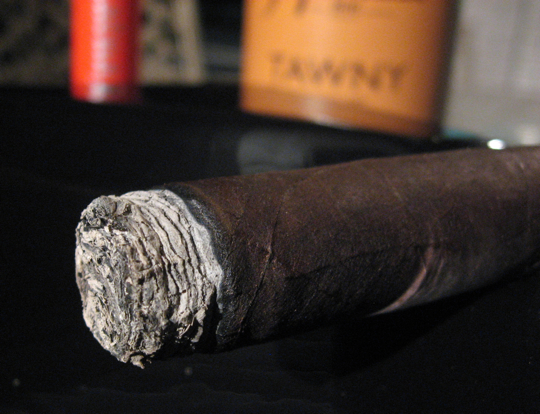 Unfortunately, one of the Red Tubos I have left exploded in my humidor and is prettymuch unsmokeable. Hopefully I can find a replacement before they are all gone. Nice review Daniel. I’ve liked these cigars even though others around me haven’t. Wish they were a bit cheaper though. This sounds like an awesome smoke. Love the red tubos. Great display factor first of all, but also just a wonderful cigar in general. Excellent flavor and great construction once you’ve given them a little time to even out humidity. 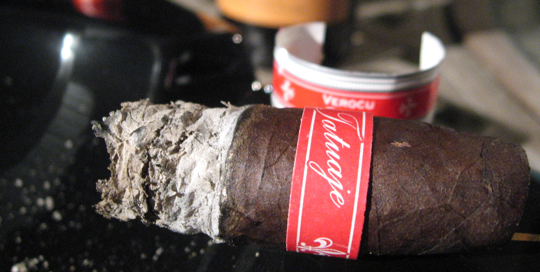 Still like the black tubos more, but the red is a special cigar in and of itself. I’ve only had one Tat, and not the one reviewed. I did like what I smoked, and now will have to try one of the red tubos.